(RRP – £499.99). 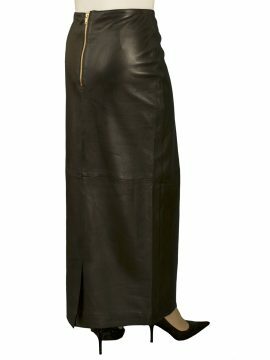 A gorgeous, most elegant long suede full skirt with an asymmetric (uneven) hemline, exquisitely tailored made in finest quality smooth and luxury soft suede leather. It sits a little below the waist and has a beautiful fullness and flare. Length approx. 34in-39in. (Easy to shorten if required.) It has diagonal panelling detail, side zip and is fully lined. Made for Tout Ensemble by Ashwood. Available in dark brown, navy, olive, cinnabar red, sand, cappuccino. Just divine and so elegant – this long suede asymmetric full skirt (‘gypsy’ skirt) with asymmetric (uneven) hemline is tailored in luxuriously soft, finest quality suede and is perfect for both evening and day wear. Available up to 42in (107cm) waist. 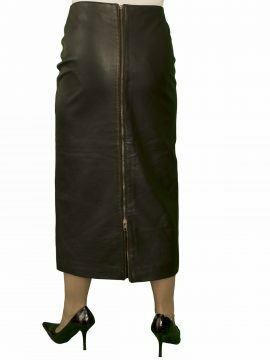 Skirt Too Long? Alteration Service Don’t worry if this skirt is too long for you. We will alter the length of this skirt for you free of charge. 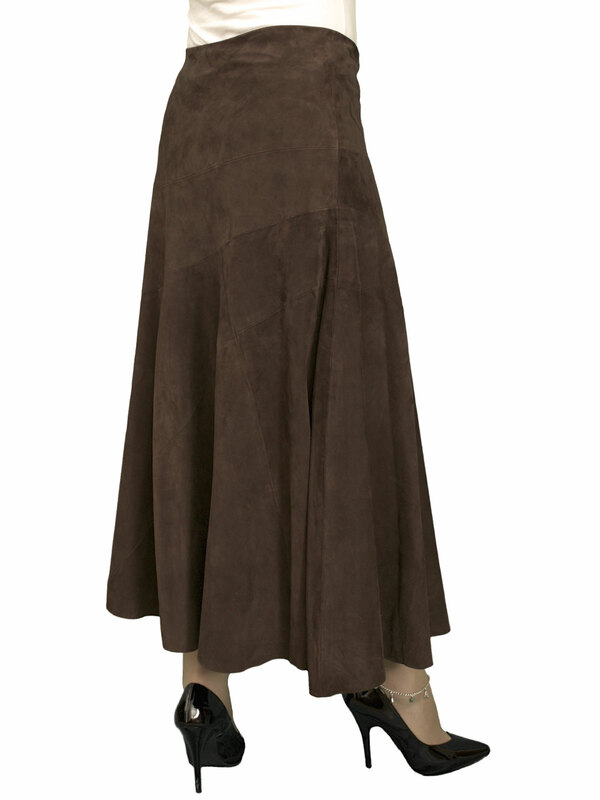 Just contact us after you have received your skirt and are happy with the size. Alternatively, you can cut the skirt to the desired length yourself. 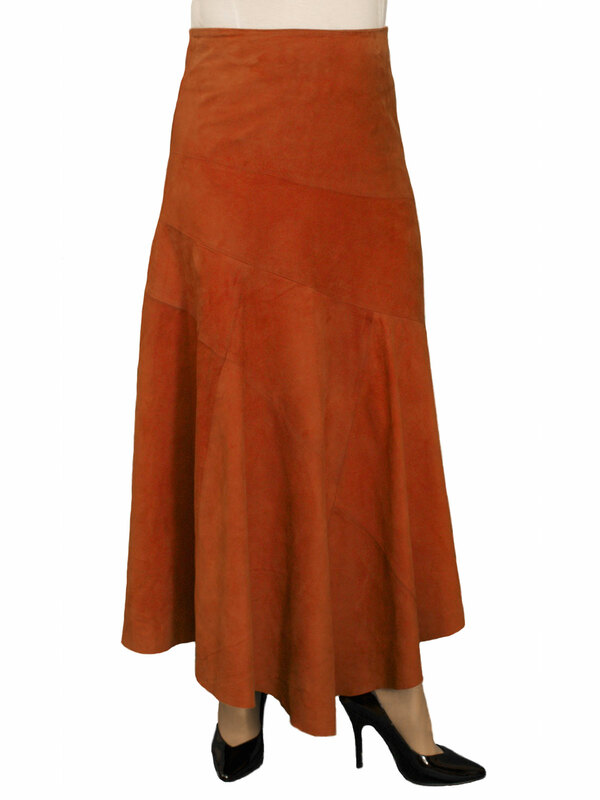 The suede does not need a machined hem and the unfinished hem is part of the design.